I’ve started something new. I needed something small enough to hold over a baby when he falls asleep on my lap, and also more portable than The Cats. 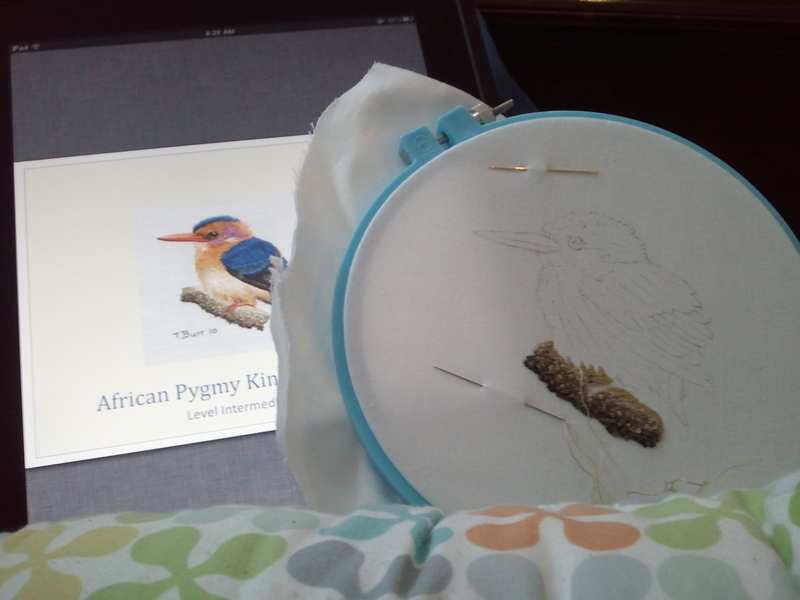 I have long admired Trish Burr’s needlepainted birds and flowers, so I acquired this little guy to be my small project. He’s a Kingfisher, and he’s charming. I got him as a digital download, since while Trish Burr’s kit prices are very reasonable, the international shipping is a killer. The instructions are nice and clear, and the photos are lovely. The hints for stitching feathers in the back are helpful as well. You start with the branch and work your way up to the most foreground elements of the bird. French knots on the branch are meant to suggest lichen. My branch is very lichen-y. What can I say? French knots are fun. This is a good-size project for my non-cat stitching needs, and it’s nice to be stitching something with fine detail after filling in lots of fur with tapestry wool. This entry was posted in Other people's designs and tagged birds, embroidery, kingfisher, needlepainting, trish burr by Rene. Bookmark the permalink. Oooh, that’s going to be beautiful! I hate doing French knots. Haven’t done them in years, I should probably re-visit that one of these days. 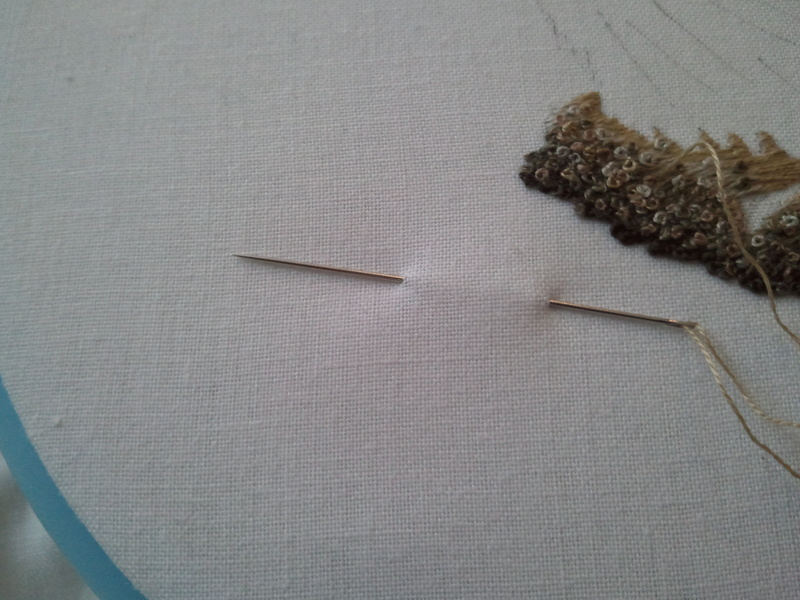 Ever since I started using a milliner’s needle to do them, they are like catnip to me. I may have gone a little overboard here.